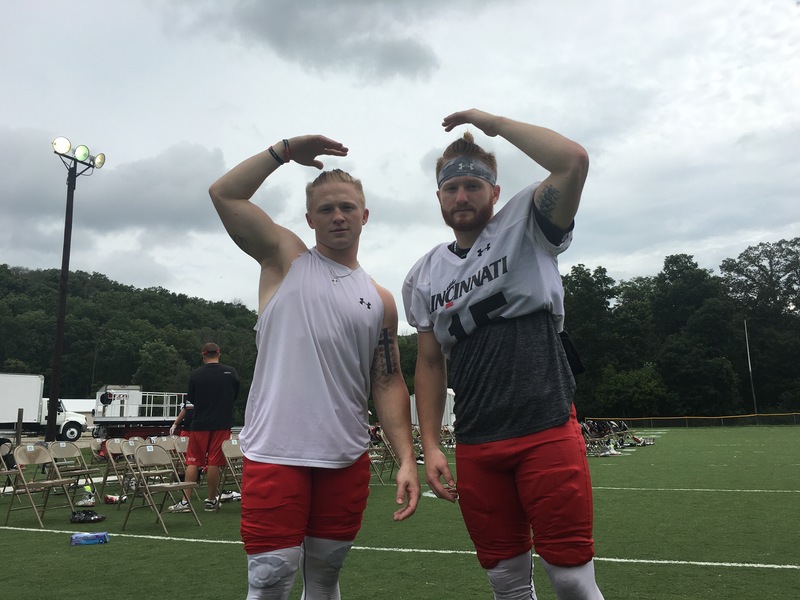 If you want to know the level of blood, sweat, and tears it takes to play major D1 football at the collegiate level, just ask two of the University of Cincinnati’s preferred walk-ons, Bryce and Brayden Beard. Brayden, one year older, stands at 5’8” 180 lbs., while the true freshman Bryce is listed at 5’9” and 179 lbs. Neither received much attention from college recruiters during their high school days, but nothing has or will stop the Beard Brothers from having success on and off the field at UC or afterwards. I would not be surprised at all if one or both received a scholarship before their careers are over here in Clifton. ​So how did they get here? Growing up in Fredricksburg, Texas, one thing is for sure – you eat, sleep, and breath football for as long as you can. There are actually five Beard Brothers, including three younger brothers who of course also play football. If you’ve ever seen Friday Night Lights, you know it’s a family tradition. And speaking of family, Bryce and Brayden are part of a large, tight-knit family that puts their faith and trust in God first. ​The Beard Brothers had one of their first reality checks when they left Texas, traveled 1,300 miles, and enrolled at one of the most esteemed athletic boarding schools in Florida, IMG Academy. In their words, “it was an opportunity they could not pass up.” At the age of 16, first Brayden, then Bryce, spent the last two years of high school alone across the country away from their family and friends to pursue their football careers as seriously as possible. This is a decision most of us can only imagine, whether you are the player or the parents. While there, the Beard Brothers were coached by Chris Weinke and played alongside and against the top D1 prospects in the country. Attending IMG Academy molded the Beard Brothers into who they are today. To put this in perspective, each had over 20 D1 players on their team. ​Now at UC, Brayden plays slot receiver and wears #15 symbolizing the first of 5 brothers, and a tribute to former UC great, Chris Moore. Bryce is a cornerback and wears #29. He hasn’t yet determined a meaning behind the number, but I am sure he will soon enough. ​Brayden learned quite a bit from Shaq Washington and Chris Moore last year. Being around four current NFL receivers during his first year offered invaluable experience. So far this camp, I haven’t seen Brayden run a poor route or drop a pass that should have been caught. What he doesn’t have in natural speed or size, he makes up for in mechanics, route running, and his hands. Brayden played in the first three games of his true freshman campaign last year before tearing his ACL against Miami (OH) and receiving a medical redshirt. I expect to see the same work ethic out of Bryce in the years to come. ​Brayden and Bryce both started out as business majors. Brayden has now decided to go into geology. He is thinking of going back to Texas after school to enter the gas and oil field. Both would love to be their own bosses. Judging by the obstacles they have already overcome, the Beard Brothers will also have tremendous success after college, whether they decide to coach or become entrepreneurs. ​On a lighter note, they are human. Both admitted to being absolutely obsessed with the TV shows, The Bachelor and The Bachelorette. And for the record, Chad is their all-time favorite. ​The Beard Brothers take pride in walking on the UC football team. If you are looking for living examples of adjectives like ambitious, driven, hard-working, unrelenting, competitive, and humble, look no further than Brayden and Bryce. Their parents, Tiffany and Robert, have raised some fine young men. Brayden and Bryce offer another example of why you should never give up on your dreams if you can find the drive and make the best of all opportunities presented in life. Deionte Buckley’s Redemption Song – Can the Bearcats Running Back Add More Punch to the Offense? We are very proud of Brayden and Bryce. They are good young men. 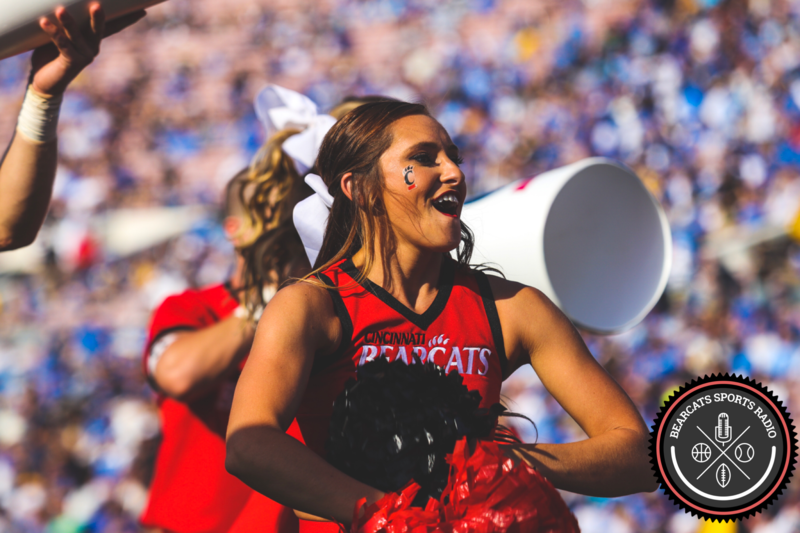 We keep up with UC Bearcats football in Eastland, Tx. because of these young men. I am very proud of my boys! Brayden and Bryce have been amazing examples to so many but especially to their three younger brothers… Jarrett, Judson and Griffin. I know God has plans to use them in ways we could never imagine. We really appreciate the opportunities given to B&B by UC and look forward to great football season. Thank you Bearcat Sports Radio for the time given to the Beard Boys while at camp. Thank you Nancy Finley for the shout out! I hope UC will win the hearts of all of my Texas friends … Go Bearcats!